Consist of two pull out drawer that can be used to keep your belongings. The unit can be customized as per your requirement. Kindly Contact us at +91-82668 88634 / +91-81929 99135 for customization. 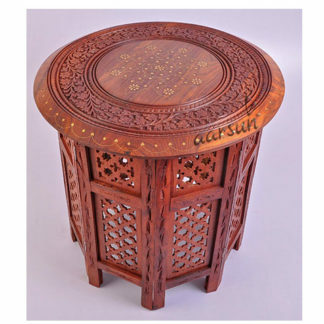 Aarsun Woods brings to you handmade Wooden Side Table / Console Table made from teak wood. 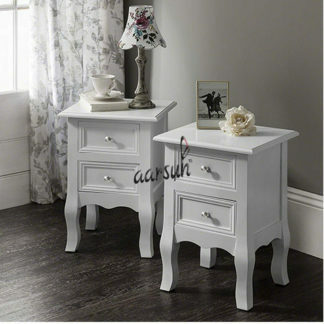 This white side table stand in elegant style is made from teak wood in long lasting durability. It will be a wonderful addition beside bed in your bedroom . A pair of compact and stylish strong solutions with a beautiful and fresh look and feel. At the bottom you will find two pull drawer with a storage items. 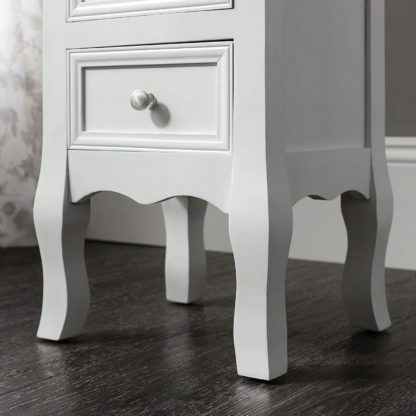 This piece of furniture will give a feeling of elegance and stylish wherever it is in the home. It’s a beautiful addition any style of room or other furniture because of its different design. Very Strong: Teak wood is a hardwood obtained from broad leaved deciduous trees, and it is exceptionally strong when compared to other wood types such as Sheesham and Mango Wood. Hence, the teak wood provide strength to the Wooden Side Table. It’s heavy: Teak wood is a very dense wood which can be considered a beneficial trait, because a very basic rule in woodworking is that the heavier and denser a wood is, the stronger it will be. In addition to this most people have a different preference towards sturdy and heavy pieces of furniture, when it comes to buying wooden side table. Termite Resistance: Teak wood has a natural oil content that resists termites (white ants), fungal stains, and also repels other insects that can destroy . One who has ever had termites climbing on walls all over the house, and eating all the expensive wooden side table before, will readily vouch for how important this benefit is. 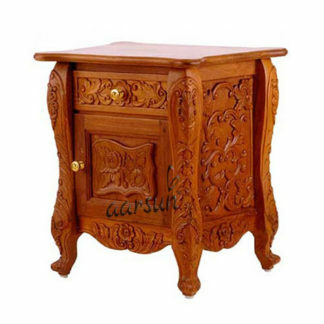 This termite and insect resisting quality in turn increases the life span of wooden side table, and is the reason why Teak wood is superior compared to many other wood species in making wooden side table. High Dimensional Stability: Properly seasoned teak wood bedside table does not warp or shrink as compared to other wood materials. It is a stable material and retains its dimensions. Well-dried wood is not easily affected by climate changes.